You are not logged in. [Log In] BowlingFans.com Home » Forums » Miscellaneous » The Bowler's Lounge » Superstitions? #199366 - 04/24/18 10:20 AM Superstitions? 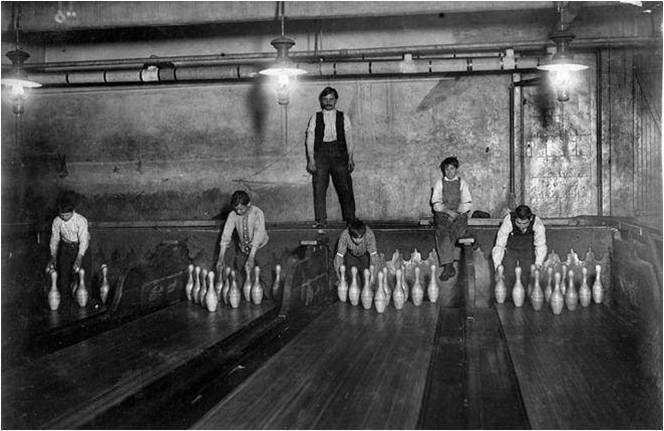 Does anyone have any odd or strange superstitions that they have to follow on bowling nights? Is there a certain pair of pants or socks you have to wear? Mine are fairly simple. I have to wear my lucky bowling hat.. the only time I wear it is to bowl. I also have to listen to 1 of 2 CD's on the way to the lanes. Depends on the weather (Don't ask why that matters I am not sure lol). If it is sunny out I have to listen to "Tooth and Nail" by Dokken and if it is cloudy and raining or snowing I have to listen to "...And Justice For All" by Metallica. How about anyone else?? A specific meal before bowling maybe?? Not for me, no. I am not superstitious. I am probably not even partially-stitious. LoL In my regular life I try to make decisions based on evidence. I try to do that at bowling too. No superstitions here. Just Bowl. Clothing wise I don't wear bowling jerseys. Team changed our name to Rock and Roll Bowl so now we wear Rock and Roll Tees. League is almost over and I haven't wore the same tee not even twice. Eating: Nothing not after lunch on bowling days. Rather stay on the lanes not in the restroom. None here. Too old for that stuff. Just glad I can get to the lanes. I have seen some who won't bowl if there is a split on the next lane. Dumb. I did have a teammate with that. I was anchor and he was before me. But, he wouldn't bowl because of a split on the next lane. I was livid, telling him to bowl. He allowed the opponent anchor to bowl before me in a very close game. That put all the pressure on me. I handled it, but reamed him out for doing that. PS: I no longer bowl with him.